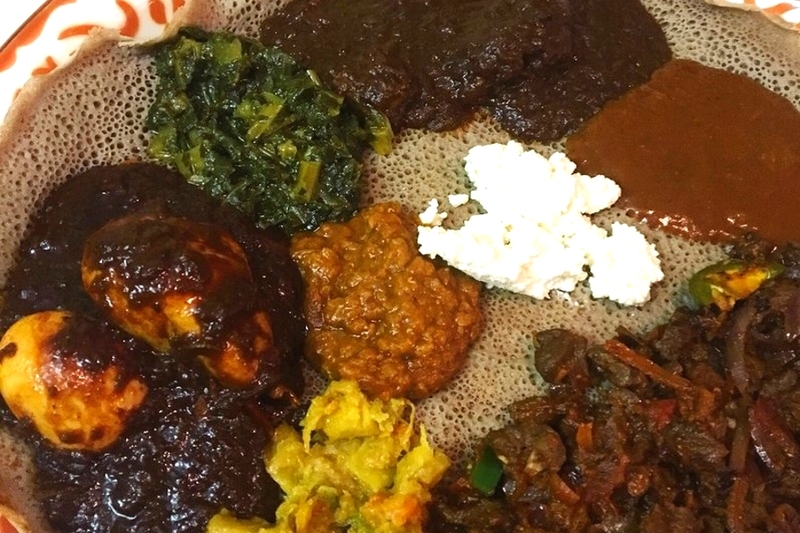 Looking to satisfy your appetite for Ethiopian fare? 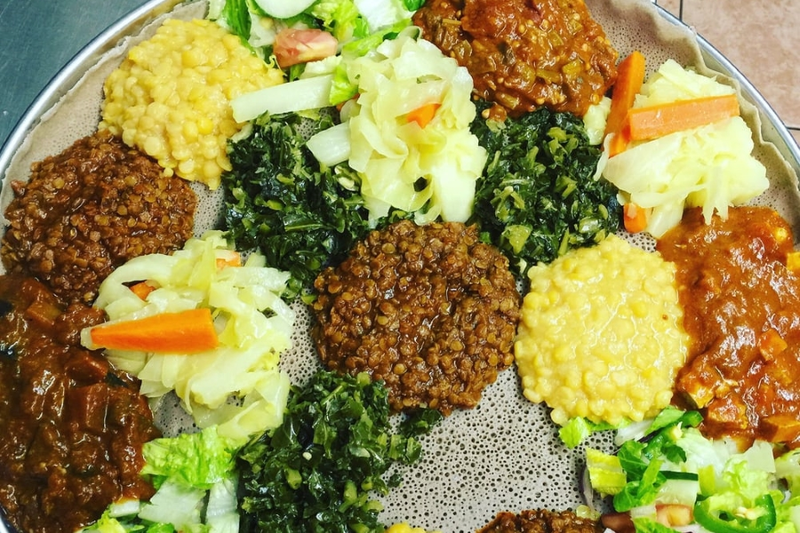 Hoodline crunched the numbers to find the top places for this East African cuisine around Philadelphia, using both Yelp data and our own secret sauce to produce a ranked list of the best spots to enjoy signature Ethiopian stews, veggie dishes or seafood with some sourdough flatbread. Topping the list is Almaz Cafe. 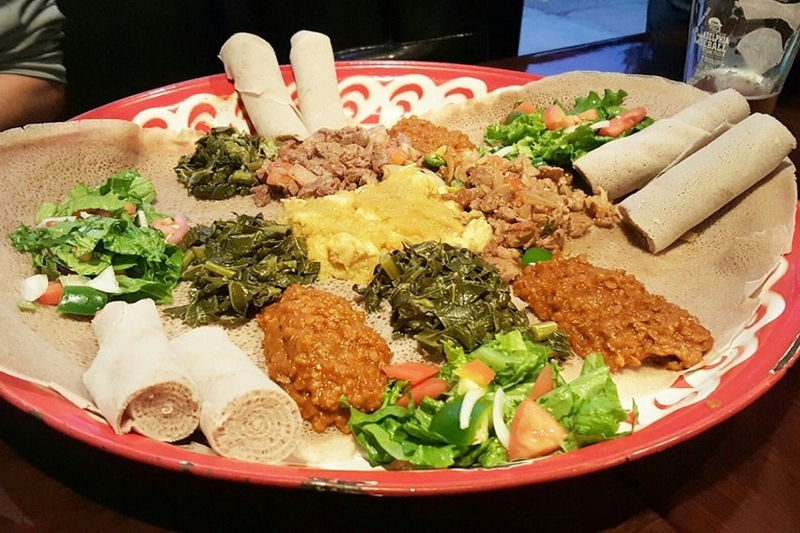 Located at 140 S. 20th St. in Rittenhouse, the cafe, which offers coffee and tea as well as its Ethiopian fare, is the highest rated restaurant of its kind in Philadelphia, boasting four stars out of 348 reviews on Yelp. Reviewers especially recommend the chicken stew and the yellow split peas, served with injera flatbread. The cafe also gets top marks for its good value and friendly service. Next up is Spruce Hill's Kaffa Crossing, situated at 4423 Chestnut St. With four stars out of 174 reviews on Yelp, it has proven to be a local favorite for its vegetarian combo platter, collard greens, large portions and great service. 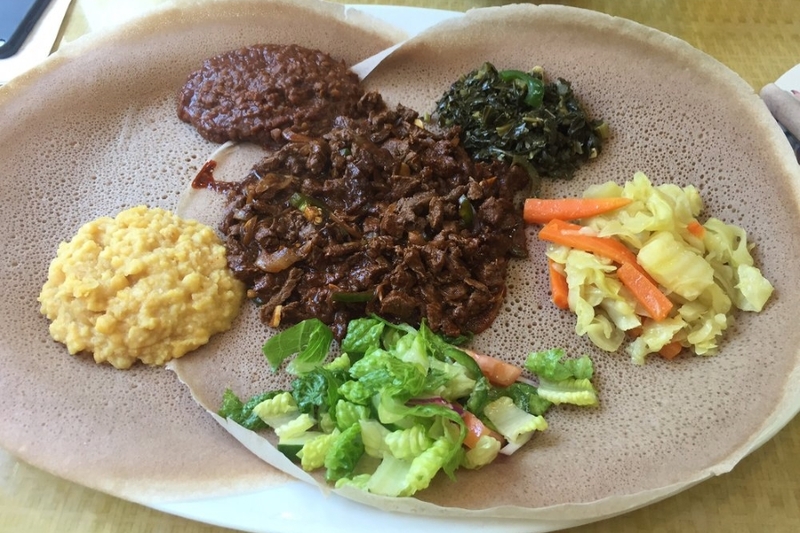 Fairmount's ERA, located at 2743 Poplar St., is another top choice, with Yelpers giving the Ethiopian bar four stars out of 163 reviews. It doesn't serve lunch, but is open late daily for dishes like doro tibs (marinated boneless chicken sauteed in onions, peppers, tomato and Ethiopian spices). The bar also has a selection of craft beers on tap, like the Terrapin Hi-5 IPA and Yards Philly Pale Ale. You can check out the full menu here. 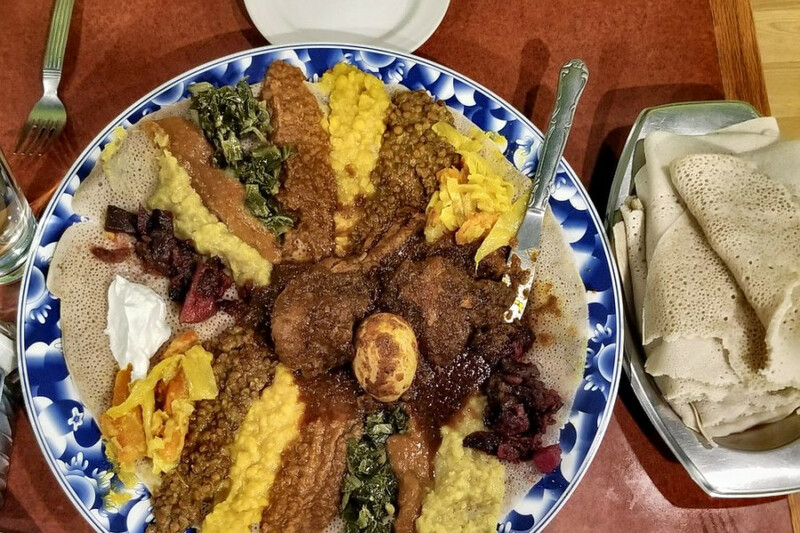 Last but not least, there's Meskerem Ethiopian Restaurant, a newer spot in Spruce Hill with 4.5 stars out of 46 Yelp reviews. Yelpers call out its seafood dishes and the house-made honey wine with ginger and spices for special praise. Head over to 225 S. 45th St. to see for yourself.